In 1986, the Adjutant General’s Department of Texas undertook to establish a museum and archival collection to tell the story of the Texas Military Forces. The following year the United States Army’s Center for Miitary History sanctioned the creation of a military holding and museum to be located in Austin, Texas, at Camp Mabry, headquarters of the Texas Military Forces. Under the energetic leadership of Brigadier General John C.L. Scribner, work began to collect historic vehicles, artifacts and archival material for the proposed museum. In 1990, Major General William C. Wilson designated Building 6, originaly constructed in 1918 as a mess hall, as the museum’s new home. Led by General Scribner, a group of talented and devoted volunteers raised the funds necessary to convert Building 6 into a museum. Working almost exclusively with a modest amout of donated funds, as well as their own tools and equipment, they designed and created the museum’s exhibits. 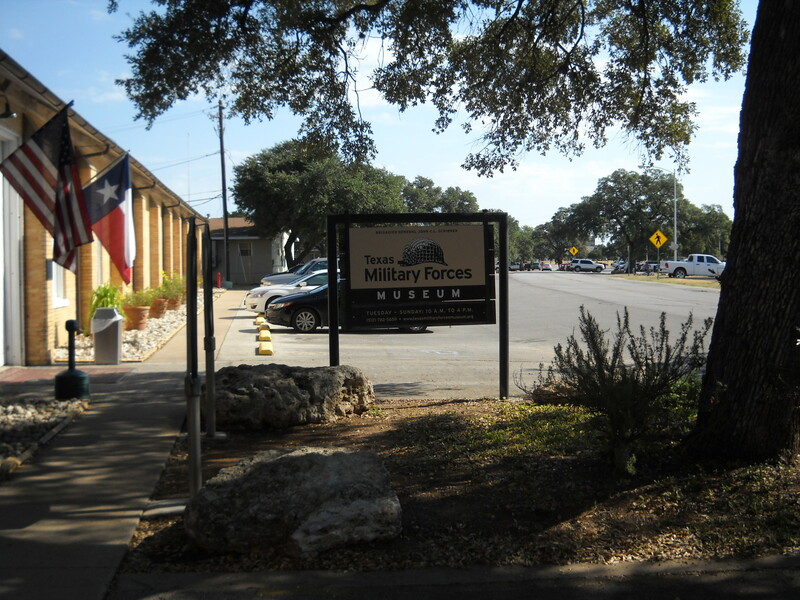 On November 14, 1992 the Texas Military Forces Museum opened to the public for the first time. Since its inception, the museum has amassed an impressive collection of historical material and now houses more that 10,000 three-dimensional artifacts, 6,000 books, 20,000 historic photographs, more than three dozen historical military vehicles and artillery pieces, and over 600 linear feet of archival material. New items are added to this already significant collection each week. Brigadier General John C. L. Scribner was born in Laredo , Texas on January 13th, 1931. He enlisted in the Texas National Guard in 1948 as a member of the Tank Company, 141st Infantry Regiment, 36th Infantry Division. He was commissioned a second lieutenant in 1952 and served as Tank Platoon Leader, Rifle Platoon Leader, Adjutant, Operations Officer, Battalion Executive Officer and Commander of the 2nd Battalion, 141st Infantry Regiment prior to his assignment to the State Headquarters at Camp Mabry in Austin,Texas . Brigadier General Scribner was assigned as the Commandant of the Texas National Guard Academy in 1981, and was instrumental in training over 8,000 NCO’s, specialists and officer candidates. He retired as a Colonel in 1986, with a remarkable career spanning some 38 years of dedicated service in the Texas Army National Guard. Immediately following his retirement from the Army Guard, BG Scribner joined the Texas State Guard and assumed command of the 6th Military Police Group where he served until 1991, when he was named as the deputy Chief of Staff Operations. In 1994 he was promoted to Brigadier General and assigned to serve as the Deputy Commander for the Texas State Guard. Upon his retirement from a remarkable military career in 1986, Brigadier General Scribner was tasked by the Adjutant General to establish a museum for the Texas Guard, without dedicated funding. It is a testament to his considerable skills that he succeeded in this task and created the backbone of the museum you see today. BG Scribner passed away on May 4, 2006. He was the driving force behind the museum from its inception and he is sorely missed by all the museum staff and volunteers.